This applet is designed for use with AQR Exploration 3.3. Drag the two blue points to change the fraction of the grid shaded. 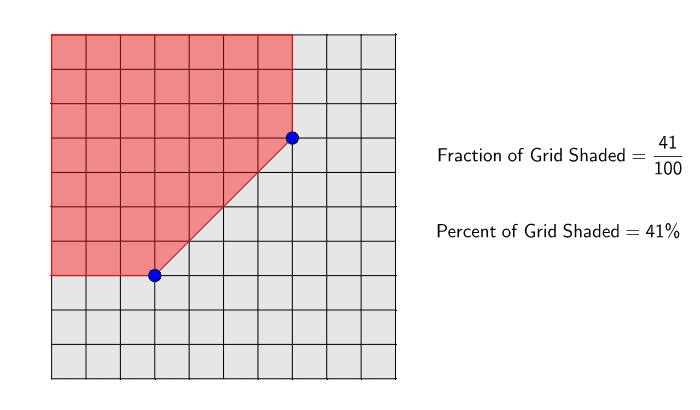 Is it possible to shade a given fraction of the grid in more than one way? How do you find the areas of squares that are only partially shaded? Which rational numbers can be represented using this applet? Are there any rational numbers that cannot be represented?